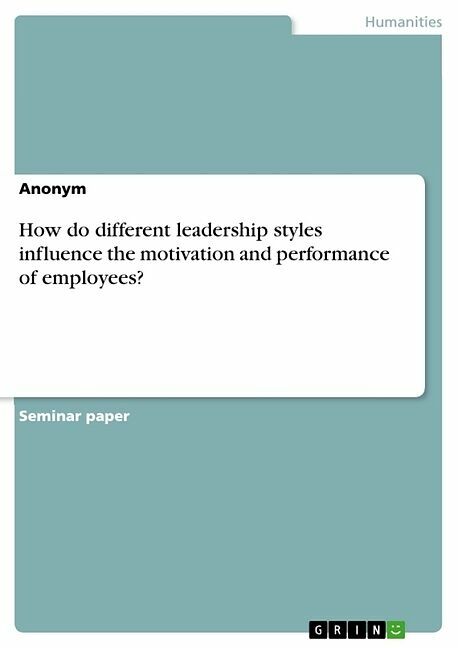 Seminar paper from the year 2016 in the subject Psychology - Work, Business, Organisational and Economic Psychology, grade: 1,8, , language: English, abstract: How do different leadership styles influence the motivation and performance of employees? This Paper provides a broad overview about how different leadership styles influence the Motivation and Performance of employees within a Company. Titre: How do different leadership styles influence the motivation and performance of employees?